Washington Nationals pitcher Jeremy Hellickson left his start against the Atlanta Braves after re-injuring his right wrist while batting in the fourth inning. 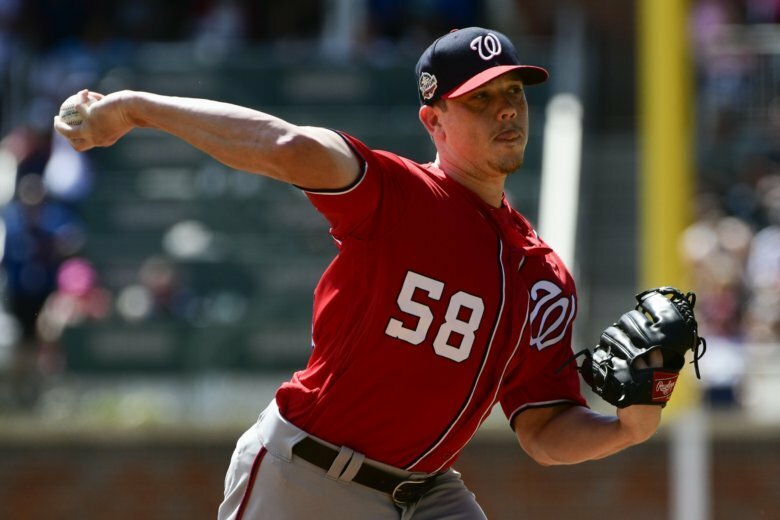 ATLANTA (AP) — Washington Nationals pitcher Jeremy Hellickson left his start against the Atlanta Braves after re-injuring his right wrist while batting in the fourth inning. Hellickson had been sidelined by a sprained right wrist, and Saturday’s start was his first since Aug. 15. He grimaced after fouling off the first pitch of his at-bat in the fourth, then swung and missed at a low and outside pitch. Hellickson walked to the dugout and was examined by director of athletic training Paul Lessard.